OK, here I go again, trying to do my very best for the tourism industry in Africa. To be frank, Namibia does not need my help one little bit. I have rarely travelled a country so well suited to the long distance traveller. The jaw dropping sights are endless, the roads are superb, the camping facilities sublime and everywhere you go there is a network of petrol stations and supermarkets to cater to your every need. Travelling in Africa surely does not get any easier than this! 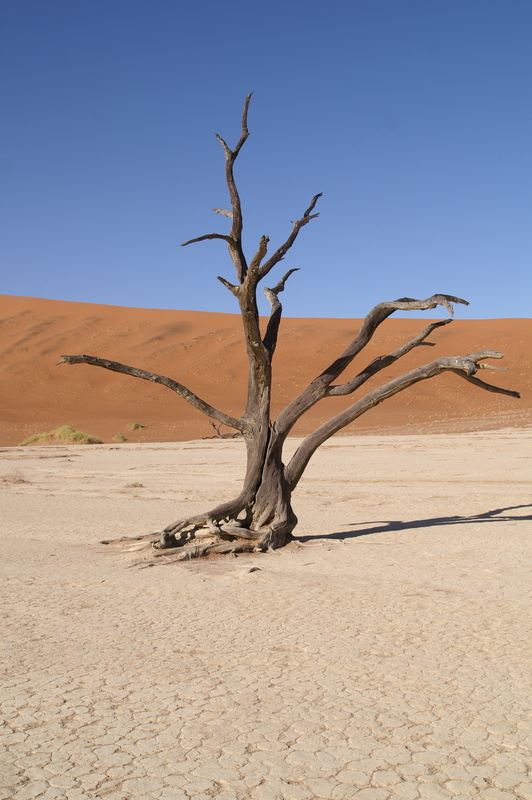 Quick bit of background for those the unfamiliar – Namibia (formerly German West Africa) is a vast expanse of land that stretches the last third of the Western coast of the continent. Sitting between Angola and South Africa it has been blessed with some of the most amazing geographic and mineral resources on the planet yet cursed to be sandwiched between two of the fiercest political struggles of the 20th century. There is plenty of evidence of both as you make your way around. The country takes sparsely populated to a whole new level, little more than 2 million inhabitants scattered across a land mass the size France and Germany combined – most of them clustered around the Angolan border (a legacy of the “homelands” policy of the apartheid era). What is left is a vast, barren, beautiful wilderness full of sights that you can really only see in this part of the world. Our 4×4 festooned with Christmas decorations and fully laden, we made our way south and west from Lusaka crossing the tiny tip of a border Zambia shares with Namibia and so entering the Kaprivi strip – a long thin strip of land that only a colonial mapmaker could have drawn. 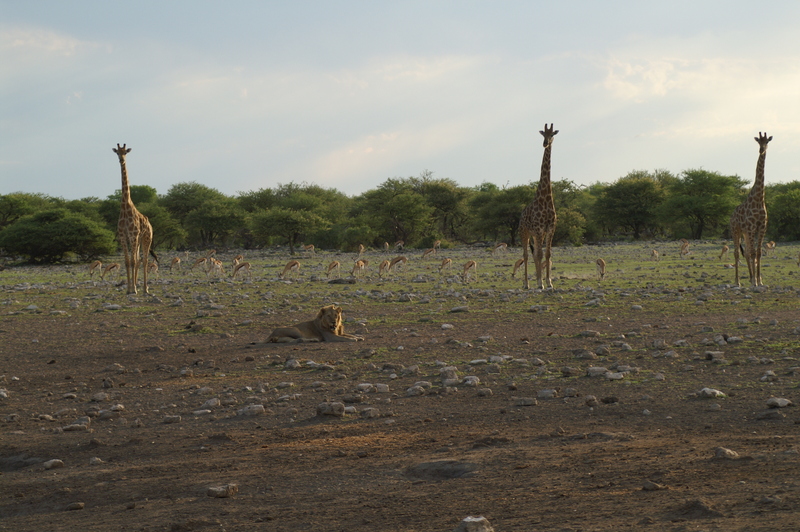 Although beautiful, its lush and green expanse is very similar to the Zambian countryside we had just left behind so it wasn’t until we reached the safari planes of Etosha pan that we began to really feel in another country, almost another world. 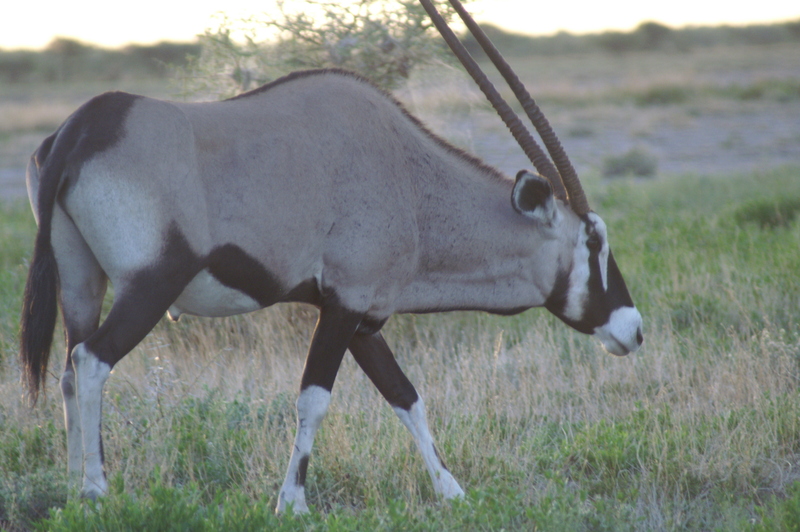 The game reserve is centred on the Etosha pan, an ancient like that has long dried up to leave a bed of salt and an moon-like expanse for the animals to roam. The wildlife authority have cleverly dotted watering holes around the park’s camps and at dawn and dusk each day we were treated to quite a display as lion and kudu, giraffe and zebra all came to drink. 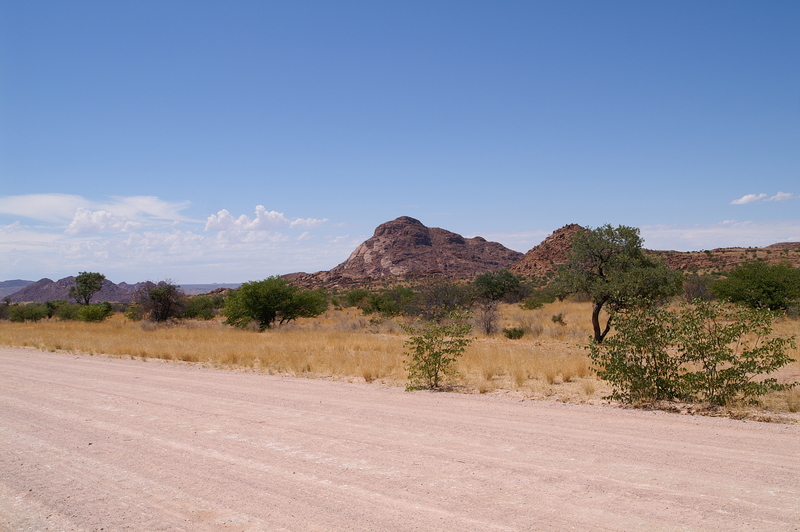 From Etosha we kept moving west towards Damaraland, an arid mountainous region filled with amazing colours and shadows as the rocks reflect the blazing sun and well … not much else. The similarities between this place and the Australian outback are striking: vast distances of red earth, thousand year old rock art at the few places hunters could survive and the Himba – an indigenous people who still colour their skin ochre and could very easily pass for aboriginal Australians. They share the land with the Herero tribe who taken their fashion cues from the Victorian ladies who arrived with the first colonists. It makes for quite a contrast one lady wearing next to nothing and the other festooned in many layered petty coats and a bonet to top it all off. 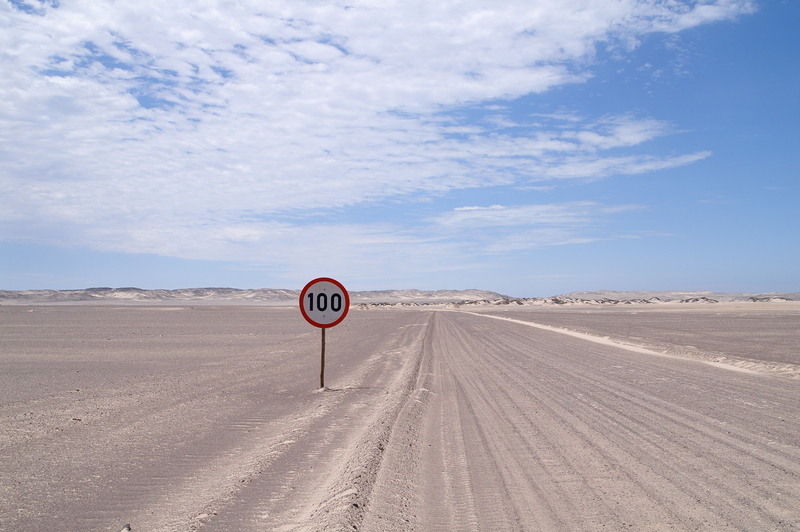 After several long and dusty days in the desert we entered the top of Skeleton Coast national park and immediately the geography changed once again. Gone were the burnt oranges and dark reds of the interior, instead we faced the blinding white of the salt dunes leading down to the violent Atlantic coastline. Now we really were on the surface of the moon! Driving across a road made of nothing more than compacted salt we made our way down the coastline looking out for the many shipwrecks the region is famous for. It may have been our navigation skills be we only managed to spot one clearly. 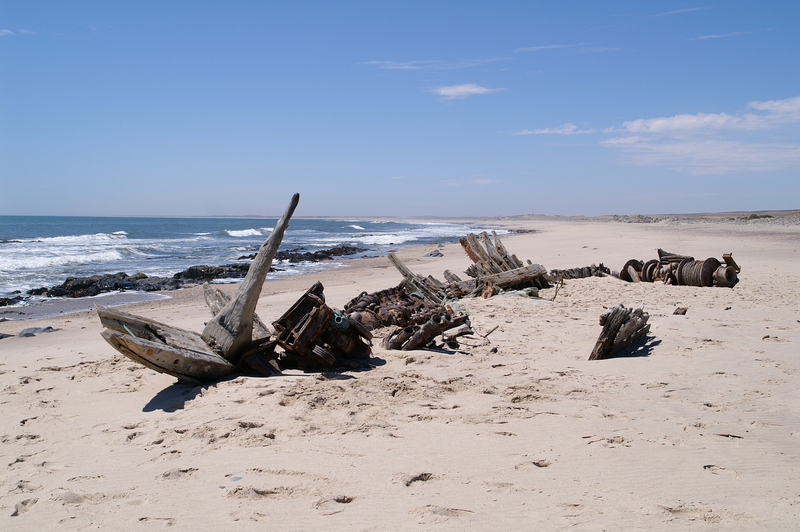 By now it was Christmas Eve so we left the wilderness and wrecks behind us and headed for Swakopmund, a tiny piece of turn of the century Germany colonialism tucked into the savage coastline. I have rarely been to such a simple yet beautiful town. The modest German homes of the first settlers are still preserved in what is now a booming tourist town. Though bustling with South African and German holiday makers it still managed to feel warm, friendly and entirely unique. We were very fortunate to have booked two rooms one of the oldest buildings in town and we were treated to a really old world location for Christmas. 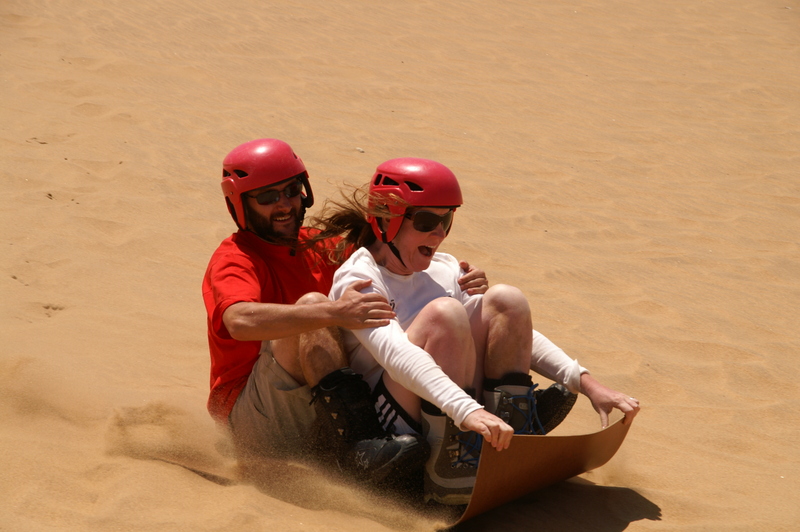 Not feeling like we should miss a single day, Christmas Day itself consisted of a trip to the huge sand dunes outside town to try our hand at sandboarding. 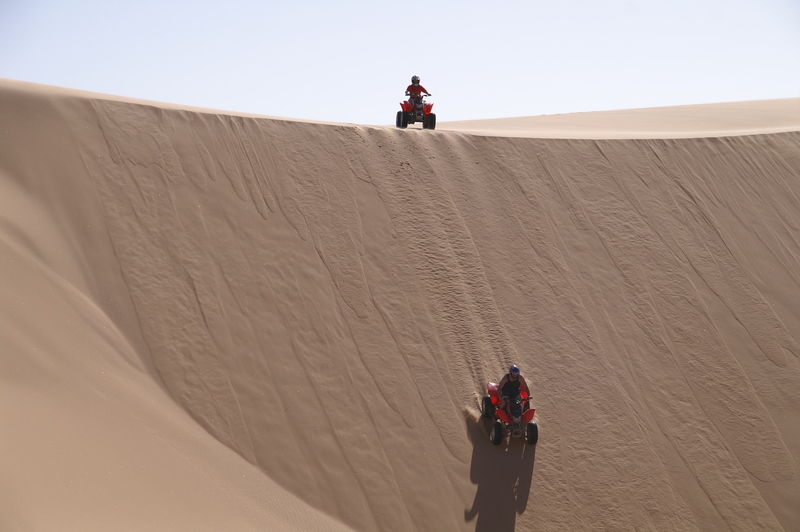 In the afternoon we really got the adrenaline flowing by racing powerful quad bikes up and down the almost vertical sides of enormous golden dunes. A truly memorable Christmas day ended with a traditional dinner of beautifully fresh oysters from the bay followed by zebra steak! Soussevlei - Most beautiful place on earth? 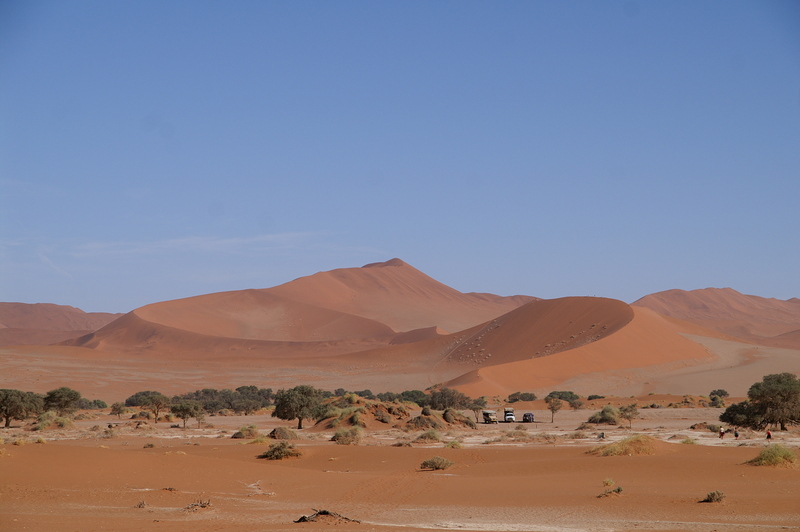 From Swakop we headed south and hit the real dirt roads on our way to Soussevlei, home of the red sand dunes that are probably the country’s most famous natural feature. They certainly didn’t disappoint. Rising at 5am to watch the dawn rise over the deep red mountain range of sand will be something that remains with me for the rest of my life. I’m afraid my pictures fail to do it justice but the white of the dead lake with the red of the sand and blue of the sky was just spellbinding. By 11am it was 45 degrees in the shade and time for us to push on out of the punishing heat. A day or two more and we made it to the southern port of Luderitz . 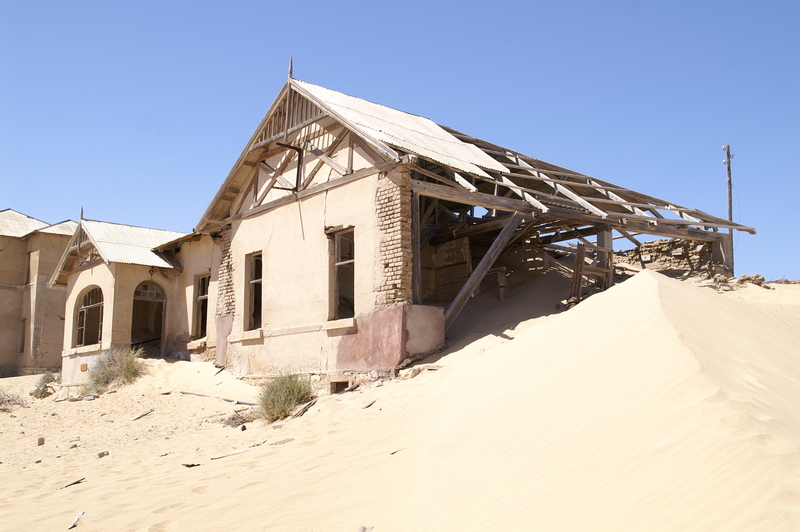 This town is famous for two things – a beautiful old diamond rush town from the turn of the century that is slowly sinking into the desert and wind, lots and lots of wind. 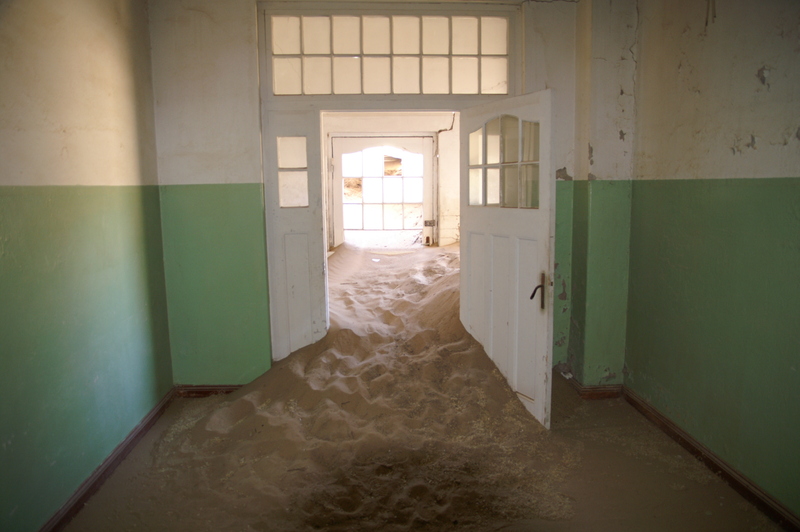 The ghost town of Kolmannskopp was indeed like stepping into another world with a the decaying remnants of a whole German boom town from the turn of the century slowly giving itself back the desert. Trying to pitch a tent in 40mph gales was somewhat less fun and we had one of the more bizarre evenings of the trip bedding down in a campsite wash block. Finally we began our long journey home, stopping for a day or two in Windhoek to mark New Years and discover a pleasant if somewhat soulless city. 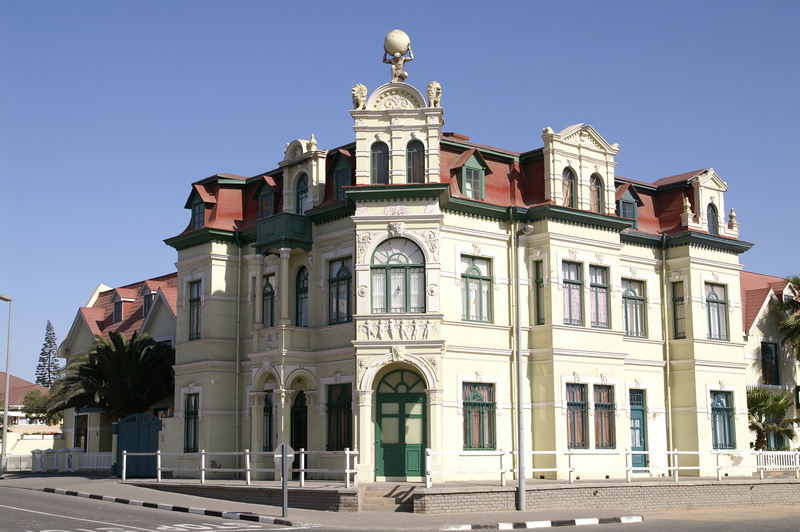 After World War II Namibia was essentially run by the South African government and so felt the full brunt of their apartheid policies up until independence in 1989. The legacy of that clear segregation of whites, coloureds and blacks is evident across the country but it was in the city that you could feel it most. Things are clearly improving and majority rule under SWAPO Namibia ’s answer to the ANC – recently entered their 20th year of government. The country’s economy is growing strongly but much of the wealth and land still sits in white hands. 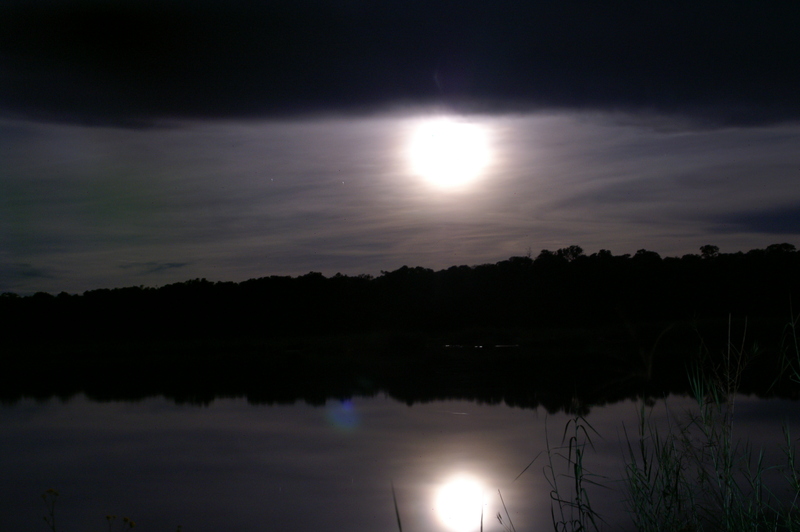 A full moon on a glorious bend in the Kavongo river just outside the Kaprivi strip marked our last Namibian night and we were ready to push for home. 7,700 km in 16 days, amazing sights every single step of the way. A stunningly beautiful and ridiculously easy country to travel around and a Christmas trip I would recommend to everybody. you just gave me chills. sounds amazing. 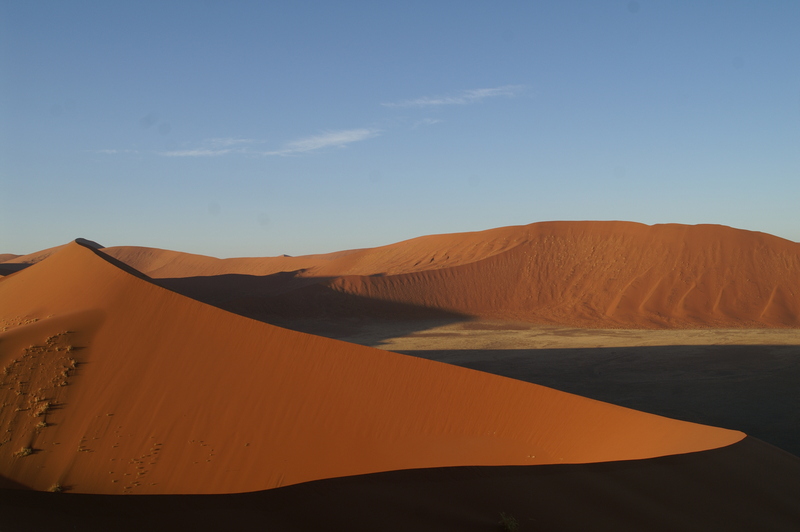 Reading your such well written blog has reminded me of my fantastic 3 months spent in Namibia back in 2001, prior to my MBA and joining J&J – seems such a long time ago. 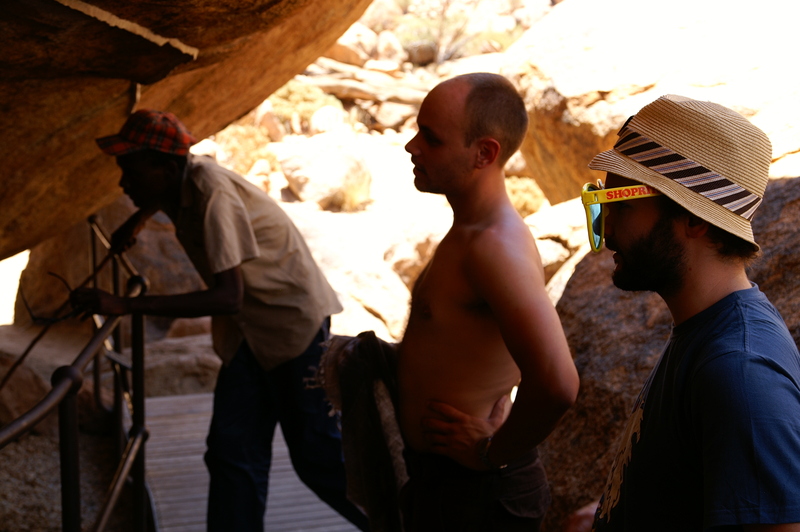 Etosha, Skeleton Coast, Swakopmund, Soussevlei, Brandberg, Luderitz, Sperrgebeit, Fish River, were all places I spent significant amounts of time in. Such a tough life people have with so many complex issues to deal with.